As the world applauds the release of prisoners by Iran, political dissidents within the country continue to suffer unjust persecution, repression and death. The truth surrounding their charges, arrests and the breadth of their continued struggle continues to be lost in the mainstream narrative on Iran. This past week, Iranian blogger and activist Hossein Ronaghi Maleki was forced to return to Tehran's Evin Prison to resume serving his 13-year sentence. Maleki, who was out on medical leave, provides a compelling example of Iran's defiant dissidents who remain forgotten in the discourse surrounding Iran. Maleki, 29, became known to many Iranians during the 2009 uprising and protests that followed. 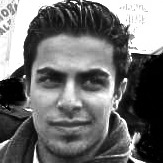 Maleki was an active blogger and joined others in the movement of underground cyber activism in Iran. He was the founder of Iran Proxy, a group focused on the maintenance of proxies that allow activists and journalists to circumvent internet censorship inside Iran.. He also authored a number of blogs that were critical of the current regime. Arrested on December 13, 2009, Maleki was reportedly held in solitary confinement for 10 months. The charges against him alleged membership in an illegal organization, posing a threat to national security and other vaguely worded charges about insulting the Supreme Leader and distributing propaganda against the regime. He received a 15-year sentence for these accusations. In 2012, Maleki was granted a temporary leave from prison, but was again arrested for his involvement in organizing relief for earthquake victims in his home province of East Azerbaijan. He successfully appealed the sentence that would have convicted him for supposedly gathering and colluding to harm national security. During his term in the notorious Evin Prison, Maleki was subjected to torture and inhumane treatment. As a result of the torture and severe medical negligence, Maleki developed a kidney condition and continues to suffer from related complications. Maleki staged hunger strikes based on the denial of medical leave for his condition and his ongoing mistreatment while in custody. His arrest and trial not only hardened his resolve, but also earned Maleki respect and support among Iranians. For the younger generation, he serves as a symbol for today's activists -- one who utilizes technology and the internet to bolster the struggle for free expression in Iran and throughout the world. For activists abroad, he was a source of inspiration and commitment to those who are seeking forward-thinking political change. In June of 2015, Maleki was finally granted medical leave after posting bail. However, despite his deteriorating medical condition and his eligibility for parole, Maleki was ordered to return to Evin prison this month. Throughout this ordeal Maleki has refused to remain silent. In a series of defiant posts on Twitter, Maleki has criticized the regime and his mistreatment before turning himself into authorities. "Might be last post but I'm determined to gain my freedom bec I'm innocent. The response to opinions is not prison." "My main charge is defending freedom of speech (against censorship) for which I was handed an unjust 10-yr prison term. @proxyiran"
"Mr. Zarif, it is wrong of you to deny the truth and ignore issues. Look at political prisoners and imprisoned journalists with open eyes." "Pressured by IRGC Intelligence unit to return me to prison, the Tehran Prosecutor issued an official order to confiscate my bail collateral." "I will not bow down to the baseless & groundless charges of the judiciary nor will I accept the unjust verdict." Maleki's words are particularly haunting as he prepares himself to reenter a place he may never leave alive. 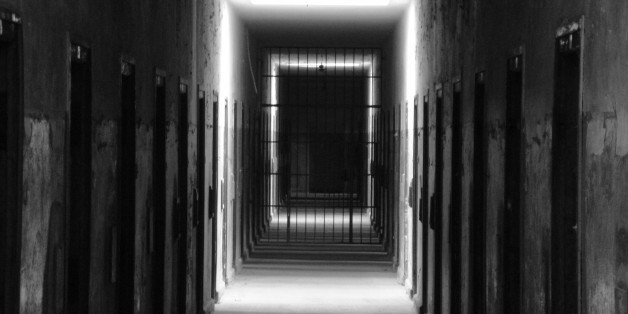 The conditions in Iran's prisons, particularly for those charged with political crimes remain horrid - part of a concerted effort under the regime to torture those who have committed crimes against the state while attempting to spread fear among the population. Medical negligence is routinely cited as a means by which the regime has tortured and murdered dissidents while refusing to acknowledge responsibility or improve conditions. Amnesty International designated Maleki a prisoner of conscience, illustrating that, despite all the talks of moderation and political change in Iran, there remains little room for free expression within the country. In 2012, Iranian blogger Sattar Beheshti was arrested and murdered while in custody for online comments he made against the regime. Maleki's father has gone on record stating, "They want to turn him into another Sattar Beheshti". While much of the Western world hails a supposed new era and relationship with Iran, little appears to have changed for Iran's dissidents. The threat to Maleki exists not only within the prisons of Iran, but also perpetuates in discourse surrounding the issue. At a time in which our attention is focused on the release of few prisoners and Javad Zarif is allowed to deny imprisonment of dissidents on American television outlets, a larger issue has evolved for Iranian activists. As dissidents are systematically silenced, and exiled from the narrative on Iran, the challenge becomes to remind the world of their fight, and the hope for real change in Iran. The responsibility to be their voice then must shift to us, and we must carry on their spirit of defiance and hope.